Many people have innovative ideas throughout their lifetime, but do not know how to invent something on their own. What sets people like yourself, the entrepreneurs of the world, apart is the desire and drive to make your ideas a reality. You may recently have created or thought of something new and exciting that you would like to patent. This post will provide you with the steps necessary to complete the patent application process for your exciting new creation. If you are going to try to patent an invention, you want to be sure you consider the time frame of the patents application process. The patents application process is long. Any business consultant will tell you that. But more importantly, there are restrictions surrounding the timing for patenting your inventions if they are featured in a presentation. Once you present an invention in public, you have exactly one year to patent that invention. This is important to note. Many inventors make presentations about their discoveries and inventions without a thought as to how it can affect their patent applications. Keep the timing in mind when you are going about getting an invention patented. Once you make a presentation on your invention, the countdown to patent begins. The first thing you will need to do is make sure that your idea has never been patented before. So, if you are trying to patent a new ultrasound video technology, you may be in trouble. There are several ways to search for similar pre-existing patents. The best method is to visit the United States Patent and Trademark Office website at www.USPTO.gov. There you will find a tool that allows you to search their entire database for patents like yours. If you find one of concern, you will be able to view full-text and images of the patent. Once you are sure that your patent is the first of its kind, you will be able to move on to the next step in the patent application process. If you happen to find an existing patent that is similar to your product idea during the search part of the patent process, do not just throw additional features onto your existing product to secure a patent. Think of it like this, Papa Johns Qatar is still a Papa Johns, after all. This will only hurt the end product and will wind up coming back to haunt you in the form of low sales volume. Layering on minute, specific details about the product to secure a patent is never a good idea. Instead, it may be better to scrap your original idea and try finding new inventions ideas. There are two types of applications that you can choose to file: provisional and non-provisional. A provisional application is a low-cost option that grants you the ability to use the phrase “patent pending” in relation to your creation for your virtual business. This type of application also does not initiate the examination process. There is a caveat to this application however, you must file a regular application within twelve months of your provisional application’s acceptance. If you choose to file a provisional application, be mindful to follow-up before the twelve month period ends. However, if you currently have the information and funds necessary to file a non-provisional patent application, that is probably the easiest route to take. Most likely, your idea will fall under the utility patent category. Plant patents are self explanatory- you would file this if you have created or discovered a new form of plant life. You may choose to file a design patent if your idea is a visual that is elemental to a manufactured item or can appear on a manufactured item. Utility patents are most common because they include any new process, machine, composition or improvement, like the Travelhost process. If your idea is not a design or a plant, you will be filing a utility patent application. Once you have made sure your idea has never been patented before and correctly chosen the application type for your creation, you are now ready to file. If you have chosen to file a non-provisional application, make sure to have all the information related to your idea organized and ready to include with the paperwork completed on office paper. Regardless of which type of application you are filing, you will also need to have the money available at the time you plan to submit. Once you have everything necessary for the application together, you may begin to file on the USPTO website. The patent application process is not complete once you have filed your application. That is only the beginning. Depending on which patent type you have filed for, you will then need to file another application. Or, if no further documentation is required, the USPTO will begin the examination process. From there your application will either be accepted or rejected. If rejected, you have the opportunity to file an appeal. If accepted, you will only need to pay the fees and you will have successfully patented your creation. For entrepreneurs like yourself, receiving a patent can be the best thing to happen to your business. 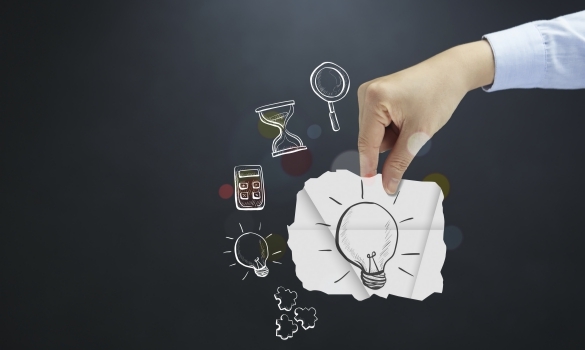 Remember these steps to ensure a successful outcome to the patent application process. Excellent post. I was checking continuously this weblog and I am inspired! Very helpful info specifically the remaining part 🙂 I deal with such patent information much. I used to be seeking this certain info for a very long time.